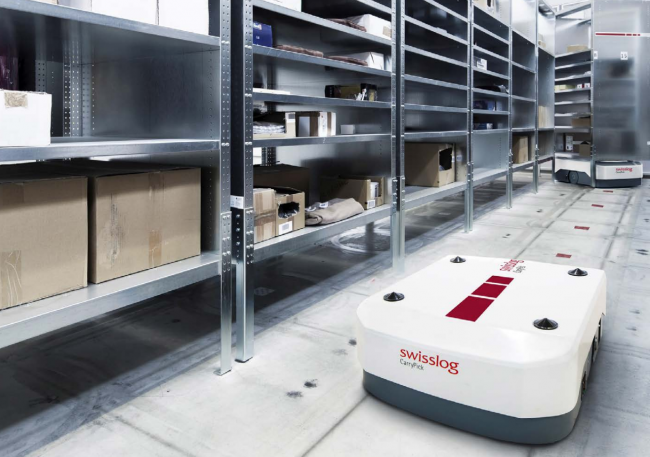 Global warehouse automation specialist, Swisslog, in close collaboration with the KUKA Group, strengthens CarryPick by bringing the mobile goods-to-person system in-house. CarryPick, an automated storage and order fulfilment system, is a flexible, scalable asset for delivering high value to customers in multi-channel fulfilment operations. The CarryPick system’s new KMP600 AGV was developed in close collaboration between KUKA and Swisslog. Synergies have allowed for a number of technical enhancements that make the AGV suitable for use in multiple industries. The CarryPick solution will be globally supported as part of the KUKA portfolio.